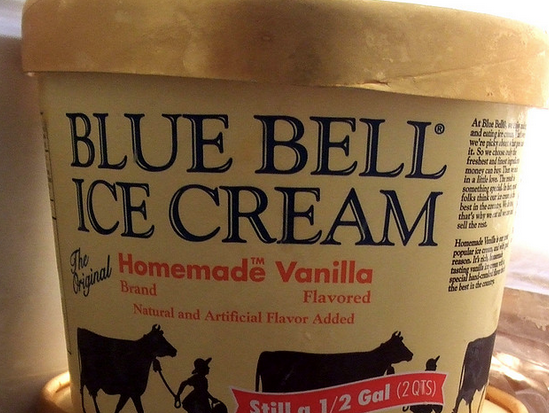 Investigator are still working to determine what caused the current Blue Bell Creameries listeria outbreak that has been linked to three deaths and at least 10 illness in four states dating back at least five years. But that hasn’t stopped a former Texas man from filing a lawsuit against the company alleging that he contracted listeria-related meningitis after eating the company’s products two years ago. The Dallas Morning News reports that the 32-year-old man filed what is considered the first lawsuit to stem from Blue Bell’s listeria contamination and massive recall in federal court in Austin, TX, on Tuesday. According to the lawsuit, the man says that while working at a retirement community in October 2013 he ate several Blue Bell ice cream products that were produced at the company’s Broken Arrow, OK, facility that has since tested positive for traces of listeria bacteria. The man claims that after eating the products he developed a severe headache and sought medical attention. Emergency room personnel diagnosed him with a migraine and sent him home where he later lost consciousness, the Austin Statesman reports. When coworkers couldn’t reach the man by phone they went to his home and found him unresponsive with a fever around 107 degrees. The man then spent six days unconscious in a local hospital, where tests found listeria in his brain and spinal fluid, leading to a diagnosis of listeria meningitis with encephalitis. While the lawsuit doesn’t seek a specific dollar amount, the Dallas Morning News reports that past medical costs have already exceeded $400,000 and future bills are expected to continue for the rest of the man’s life. So far, the CDC has used genetic markings of the bacteria found in three hospital patients to match strains identified in Blue Bell products. It’s unclear what happened to the tests and samples taken during the man’s hospital stay. Still, the lawyer says that there is “virtually no chance” the bacteria that infected the man came from another product. Blue Bell recalled all of its products last month after the Centers for Disease Control and Prevention found listeria bacteria in several frozen treat items produced in Blue Bell’s plants. Since then documents from Food & Drug Administration investigators have surfaced showing that the Texas-based ice cream maker knew of bacteria problems at its plants nearly two years ago, but failed to do anything about it. According to the FDA, the testing, which included five samples in 2013, 10 in 2014 and two in 2015, found traces of listeria on floors, pallets used to store and carry ingredients and other non-food-contact surfaces at the plant. Last week, the company entered into an agreement with the Texas Department of State Health Services (DSHS) and the Oklahoma Department of Agriculture, Food and Forestry requiring the company to inform state health officials at least two weeks before starting production of ice cream to be sold in the marketplace so the agencies can assess progress and test results. Additionally, Blue Bell will provide trial production runs of its products for separate listeria testing by the two states.